Microsoft today started rolling out what some are calling the “RTM” of Windows 10 today to both slow and fast ring Windows Insiders. Microsoft today started rolling out what some are calling the “RTM” of Windows 10 today to both slow and fast ring Windows Insiders. You can download it now via Windows Update. Microsoft has stopped making new builds, and has not officially declared this the RTM. But, instead the company is making update packages for this build, 10204. 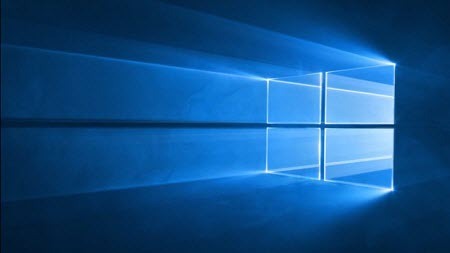 First, a quick peek behind the curtain: a trusted source at Microsoft has told me that the software giant has not signed off on Windows 10. 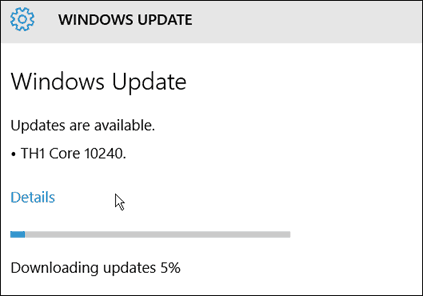 That said, it has also stopped building new builds and is now busy building update packages for build 10240. Which suggests that Microsoft might not even declare RTM as they have in the past—i.e tie it to a specific build—but could instead declare RTM as this build plus certain critical updates. Notice in the screenshot below that this build is called TH1 Core 10240 – which we assume stands for the “Threshold” codename for the OS. While Microsoft is not officially calling this the RTM (Release to Manufacturing) it is in fact what will be going out to various vendors like Dell, Lenovo, etc. However, from now until the actual release date on the 29th (and beyond), more updates and features will continue to be added. Apparently there will not be ISO versions available for this version, but they should be coming after the official release. We’re just downloading it now, and will let you know as soon as we are able. If you are an Insider, download the new build, and let us know how it goes for you in the comments below. what is it for the update ????????????? Anyone else experiencing this issue. Other OTA updates have been successful. Currently running build 10166. I would imagine servers are getting slammed. How long has it been hanging? I had a similar problem with 10166 when it came out. It hung at 0% 3 reboots, and 1 full system shutdown did the trick. It appears it was the servers getting overloaded. All is well now, as after a reboot it gave the error code 0x8024001e. I then rebooted again, it gave an “Install Now” button, and installed fine. Had no issues downloading or installing. Scott C.
I was able to get the TH1 Build 10240 to update on a Build 10166 that I did with a clean install. However, I can’t find a valid product key for activation. It may take up to a few days sometimes. Mine activated right away call me lucky lol.